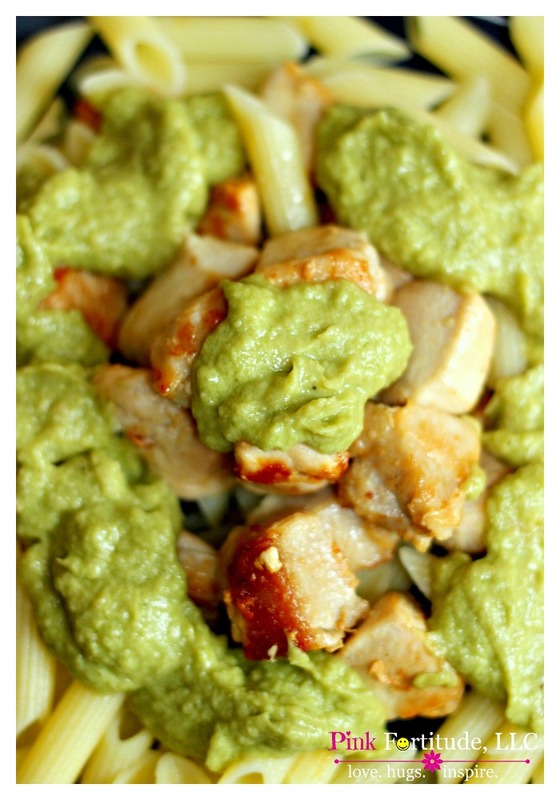 My boys eat mostly Paleo, and this grilled chicken and artichoke pesto is a family favorite. 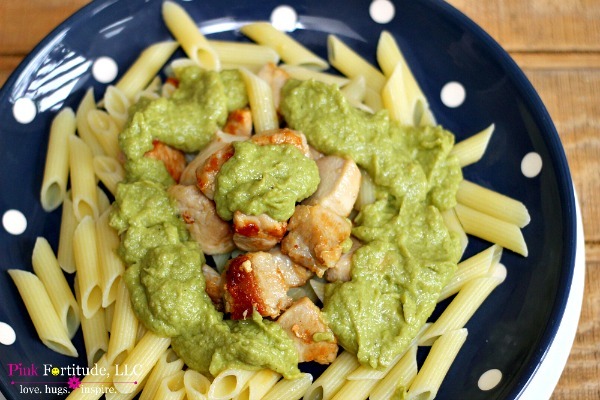 Traditional pesto is made with pine nuts and Parmesan cheese, but this recipe is nut and dairy free with some easy substitutions. Since we are a “flexitarian” family, our dinners are all over the place. I eat gluten free and vegan-ish and the boys eat mostly Paleo. This is one of those dinners that checked all of the boxes. The best part – I found a pack of organic chicken at the commissary at a very reasonable price so I sneaked in a couple of bites to try it. 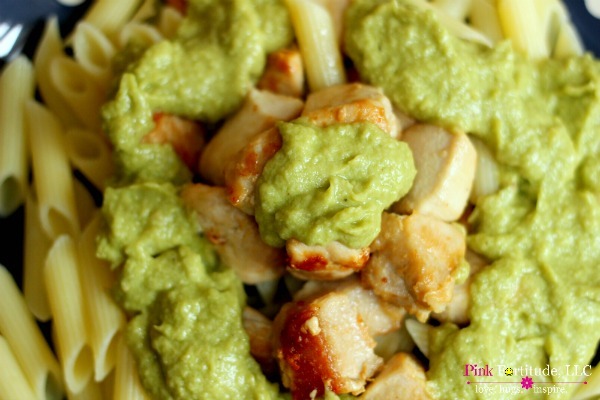 Yup – delish not just with gluten-free pasta, but also on the chicken! 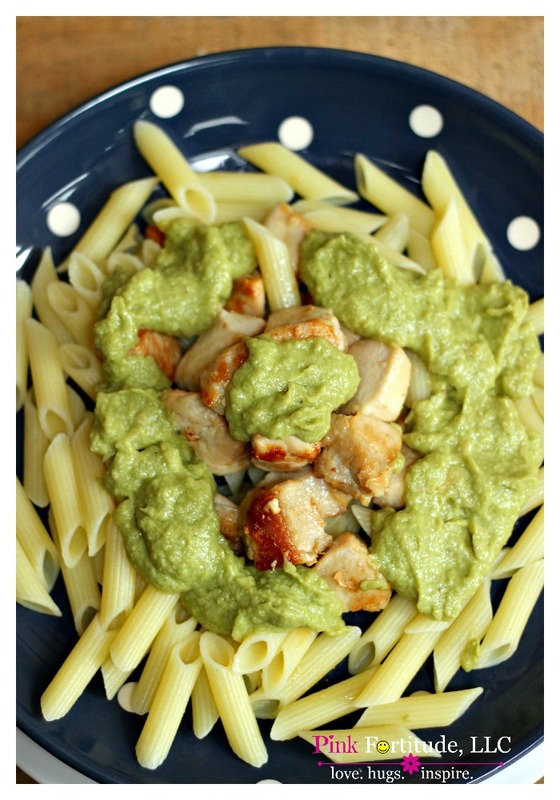 The pesto is made with artichokes and avocado. The health benefits are insane! A little nutritional yeast gives it a mild and nutty cheese flavor. You can add it to gluten-free pasta for a gluten-free and vegan dinner, or over grilled chicken without the pasta for a Paleo dinner. Regardless of how you eat it, it’s super healthy and super delicious! Artichokes are good for cancer prevention, immunity support, lowering cholesterol, protecting against diabetes and heart attack, and are good for detoxification. They are rich in fiber, and full of Vitamin C, and many other vitamins and minerals. Avocados are heart healthy, loaded with fiber, vitamins, minerals and potassium, and are anti-inflammatory. Add the artichoke pesto over grilled organic chicken, gluten free pasta and enjoy! Don’t forget to pin to your favorite recipe board! Love, hugs, and artichokes make hearts happy! Paleo and almost vegan! Good stuff! This looks absolutely delicious! 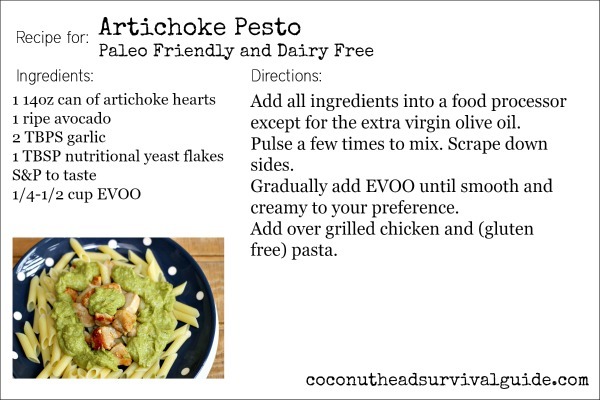 I love artichoke (and pasta is always an awesome idea). Thanks for sharing with us at Merry Monday!